Ernest Hemingway, Cubas adopted son, was born in Oak Park, Illinois in 1899. After graduating from high school in 1917, he became a reporter for the Kansas City Star, but he left his job within a few months to volunteer in Italy during World War I. After the war ended, he served as a correspondent for the Toronto Star and then settled in Paris in 1922 where he married Hadley Richardson, the first of his four wives. It was there that he began writing creatively alongside a group of Americans that made their homes in Paris. After his 1927 divorce from Hadley Richardson, Hemingway married Pauline Pfeiffer. 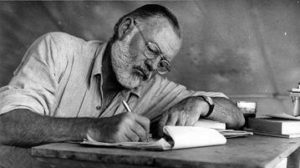 After the success of the The Sun Also Rises (1926), Hemingway spent long periods in Key West, Florida, in Spain and Africa, and he became known as an adventurer for his love of bullfighting. Hemingway was an admirer of Hispanic culture and one of the most influential writers of the 20th century, winning the Pulitzer Prize in 1953 and Nobel Prize for Literature in 1954. Throughout his life he navigated his way in and out of the Spanish-speaking peoples, from Spain to Cuba. Beginning in the late 1930’s, Hemingway stayed in Cuba. Ernest Hemingway, affectionately known as “Papa” to the Cubans who claimed him as their own, was one of the most famous American novelists and short-story writers. Cuba adopted him after he adopted Cuba, an island he called home for more than two decades from 1930 -1960. Even today, long after he left this life and his beloved country, Cubans still idolize Hemingway. 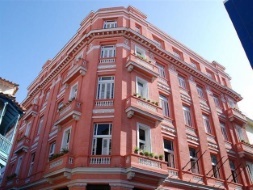 He first resided at the Hotel Ambos Mundos in Old Havana, frequenting two bars in particular,El Floridita and La Bodequita del Medio now internationally famous through his writings. The bartender of the restaurant, Constante, created the Daiquiri which Papa praised so much and immortalized in his book Islands in the Stream. In 1940 upon completion of For Whom the Bell Tolls, he used its earnings of $18500 to purchase Finca Vigia, or Lookout Farm, in San Francisco de Paula, a suburb that lies ten kilometers southeast of Havana and is now a museum that was donated to the Cuban people in 1961 after Hemingway committed suicide. 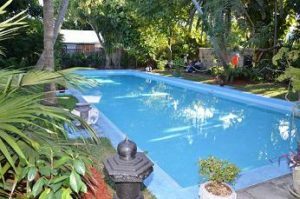 The estate is in the exact condition in which the Hemingway’s left it in 1960. Included inside the house are thousands of books and magazines from Hemingway’s private library, works of art by Picasso and animal heads. 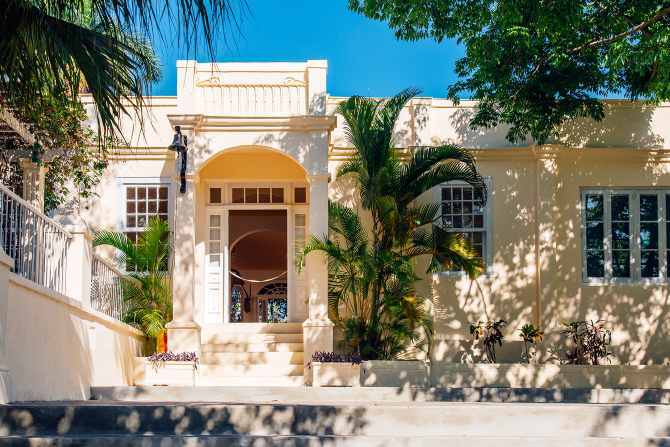 Finca Vigia is the palm tree surrounded hilltop residence which Hemingway called home. From 1939 to 1960, and where the writer completed some of his greatest works, including The Old Man and the Sea and Islands in the Stream. 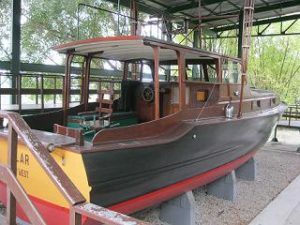 The Finca was also the place where Hemingway kept his fishing boat the Pilar. The protagonist of the novel The Old Man and the Sea is an old Cuban fisherman named Santiago, who catches a giant marlin after weeks of disappointment, only to have sharks eat the fish on his return to the harbor. 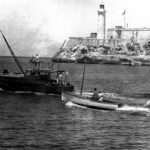 It is believed that a Cuban fisherman, the real Old Man, Gregorio Fuentes who served as the captain of the Pilar in the late 1930s, was the model for Santiago. He divorced Pauline Pfeiffer after he returned from the Spanish Civil War Martha Gellhorn became his third wife in 1940. Hemingway continued his war reporting during his time in Cuba. He and Martha traveled to China in 1941 to report on the Second Sino -Japanese war. After his return from China and before heading to Europe to cover World War II, Hemingway hunted German U-Boats in the Caribbean with his boat, Pilar, which he had outfitted with radio communications and weaponry in case he encountered a German submarine. Hemingway divorced Martha in 1945, and returned to Cuba in 1946. He married Mary Welsh, a fellow reporter he had met in London. She joined him at the Finca, right photo with Ava Gardner. In January 1946 he began work on The Garden of Eden, finishing 800 pages by June. In 1948, Hemingway and Mary traveled to Europe, staying staying in Venice for several months. While there, Hemingway fell in love with the then 19-year-old Adriana Ivancich. The platonic love affair inspired the novel Across the River and Into the Trees, written in Cuba during a time of strife with Mary, and published in 1950. The following year, furious at the critical reception of Across the River and Into the Trees, he wrote the draft of The Old Man and the Sea in eight weeks, saying that it was “the best I can write ever for all of my life”. The Old Man and the Sea became a book-of-the-month selection, made Hemingway an international celebrity, and won the Pulitzer Prize in May 1952 a month before he left for his second trip to Africa. 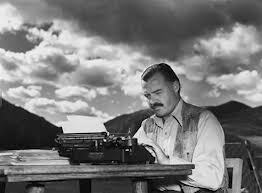 From the end of the year 1955 to early 1956, Hemingway was bedridden. He was told to stop drinking to curb liver damage, advice he initially followed but then disregarded. In October 1956 he returned to Europe and met Basque writer Pio Baroja, who was seriously ill and died weeks later. During the trip Hemingway became sick again and was treated for “high blood pressure, liver disease, and arteriosclerosis”. In November, while in Paris, he was reminded of trunks he had stored in the Ritz Hotel in 1928 and never retrieved. The trunks were filled with notebooks and writing from his Paris years. Excited about the discovery, when he returned to Cuba in 1957 he began to shape the recovered work into his memoir Moveable Feast. 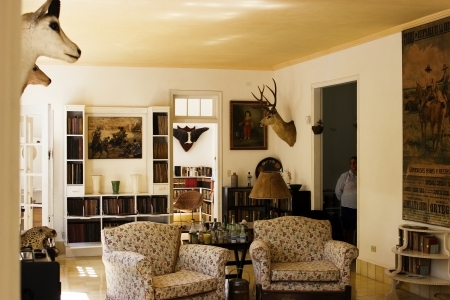 Hemingway became unhappy with his life in the Finca Vigia because crowds of guests and tourists arrived there. He considered a permanent move to Idaho. The Cold War tensions between the United States and Cuba forced the American writer to choose between his birth home and his home of choice. He supported Fidel Castro’s revolution, but ultimately and sadly left Cuba, his “home,” for good when the living became too complicated. On July 25, 1960, Hemingway and Mary left Cuba, and never returned…. 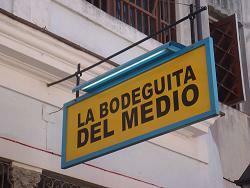 Location: Finca Vigia and the Hemingway Museum are located in the town of San Francisco de Paula. Pass by the Havana harbor and follow the Carretera Central from Havana direction south-west for 9 miles.